Rat onna Stick – a Dwarven speciality. A definite Discworldian delight, is the Dwarven street food of Rat onna Stick. Now after some experimentation, I can reveal to you a version that is somewhat more palatable to Humans (and quite the talking point at parties). This recipe is for 12 rats. Scale appropriately for more. 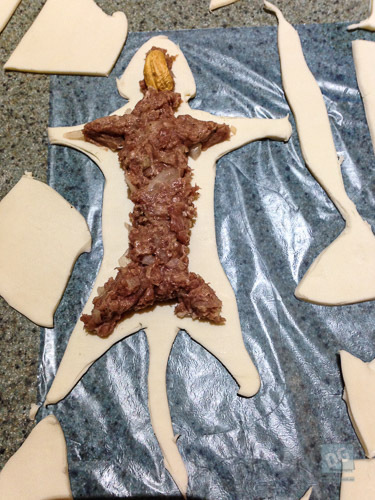 Defrost the pasty (if frozen). 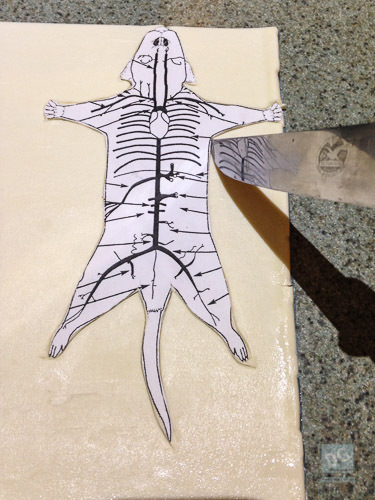 Place your rat template on the sheet, and work out where you’re going to arrange the next two in order to get three rat sides per sheet (may need to reconstruct a chopped off head/tail/arm if needed from the offcut pastry). 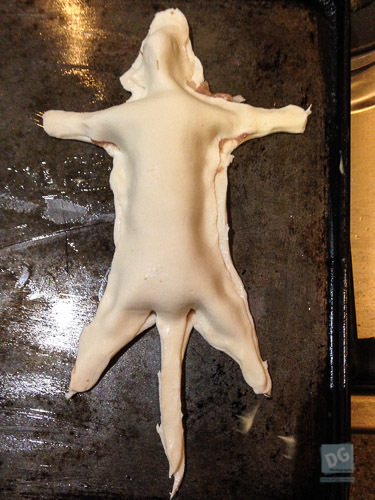 Carefully cut out the rat sides with a sharp knife, and peel off the excess pastry (set aside for re-use or more rats). First, dry fry the cumin seeds and grind in a mortar and pestle with the salt. In a bowl, place the mince, onion, garlic, cumin salt and pepper, oil, seasoning and egg, mixing thoroughly. Add the flour (1/3 cup first, more if needed) and mix well. You want a firm consistency that isn’t runny. Place a small amount of filling in the head and use it to hold a cashew (for the crunchy skull). Now carefully fill the rest of the rat (don’t overfill). Wet the edge of the pastry and then press the upper skin down along the edges to form a seal. Place on a greased baking sheet and brush with beaten egg. Sprinkle lightly with paprika. 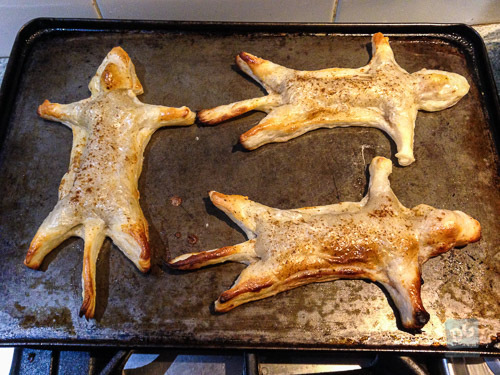 Bake for approx 15 mins at 170ºC (but watch for burnt limbs!). 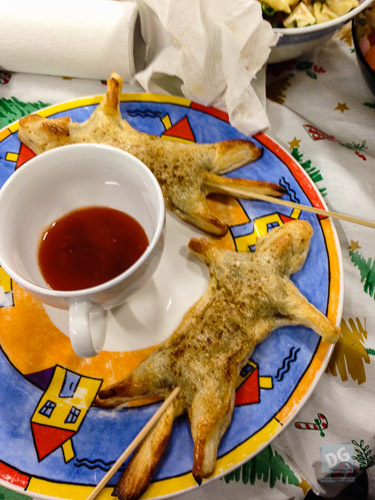 Skewer through the bottom and serve with dipping sauce.